There is no more intimate and glorious relationship than that of Guru and disciple. In this biography of two of the great Yogis of India, Dr Bruce Young unlocks the mysterious ways in which a Guru leads the disciple to Liberation. The story begins in a coastal village in Andhra Pradesh with a boy named Satyaraju. At the age of fourteen, Satyaraju has an extraordinary experience which leads him to meditate in Samadhi for an average of twenty hours a day over twelve years. The reader comes face to face with the monumental challenges encountered by the young boy in performing this feat, from the harsh elements, to grinding poverty and the ravages of cobras and scorpions. After twelve years of deep absorption, he emerges as a Yogi and Sage of the highest order, the great Shri Shivabalayogi Maharaj. adherence to the teachings of his Guru and his astounding spiritual efforts. After meditating for twenty hours a day from 1994 to 1999, Seenu emerges as the Self Realized Master, Baba Shiva Rudra Balayogi Maharaj. 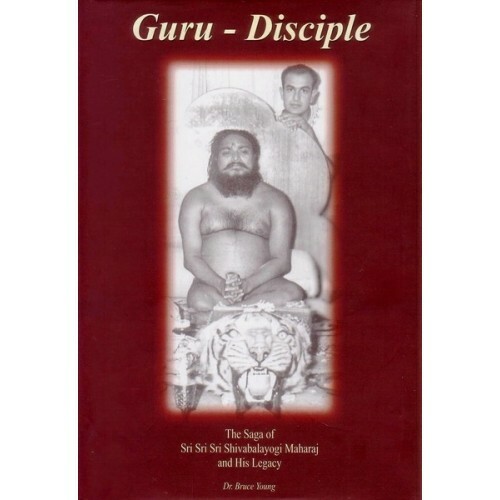 This book provides a rare entree into the world of two spiritual giants and their path to Realization via the eternal institution of India, the Guru-disciple relationship.